Audi’s marketing department for the e-tron is at full speed at the moment. Just yesterday, we learned that Audi was using e-trons as shuttles for world leaders and industry heads at the World Economic Forum in Davos. Now we’re learning that there’s an Audi e-tron display at Munich Airport. So if you’re passing through the capital of Bavarian anytime soon, check it out. If you think this is just a little stand with an e-tron on it next to the Starbucks, you’re wrong. 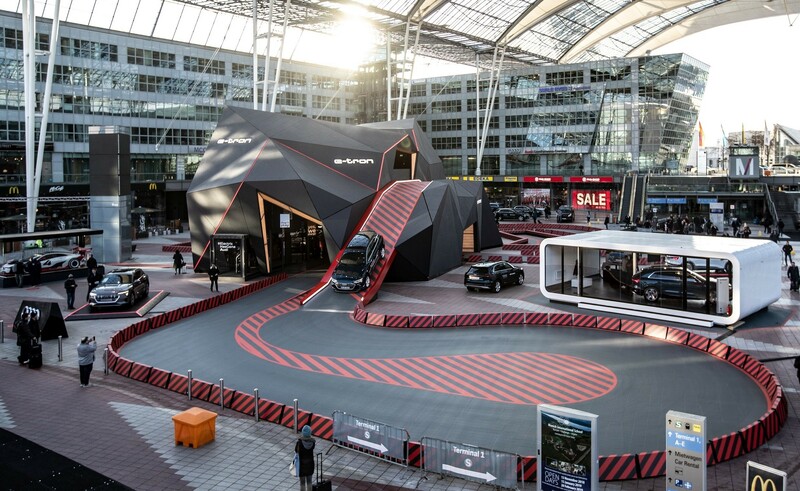 Audi set up a massive, multi-story “meteorite” (as Audi is calling it) that features several Audi e-tron models and even a driving demonstration. It looks like something you’d see at an international auto show, not an airport. 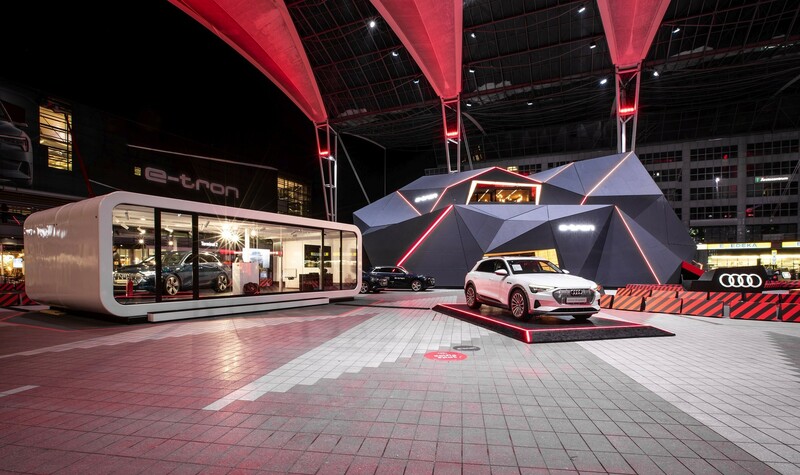 This meteorite will show off all of the e-tron’s capabilities; from its charging to its energy recuperation. Kids will also be able to explore the meteorite on their own, with an animated robot named ADUI as their little tour guide. On top of that, there will also be an escape room and some puzzles, with the reward being a test drive of the e-tron. If you’re looking to buy an Audi e-tron, you can also test drive one there. If you know you’re going to be at Munich airport and will have some time to kill, you can pre-register at your local Audi dealer to drive the Audi e-tron for up to an hour for free. Audi is planning on using this meteorite as a training center for the e-tron brand and its electric vehicles. More than 9,500 dealerships around the world will train there and learn about Audi’s new electric tech. So if you’re at Munich Airport and need to kill some time, check out the Audi e-tron “Meteorite”. It’s probably more fun than it sounds.